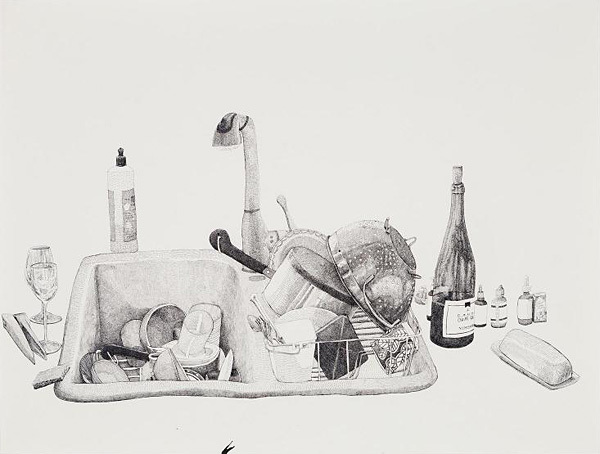 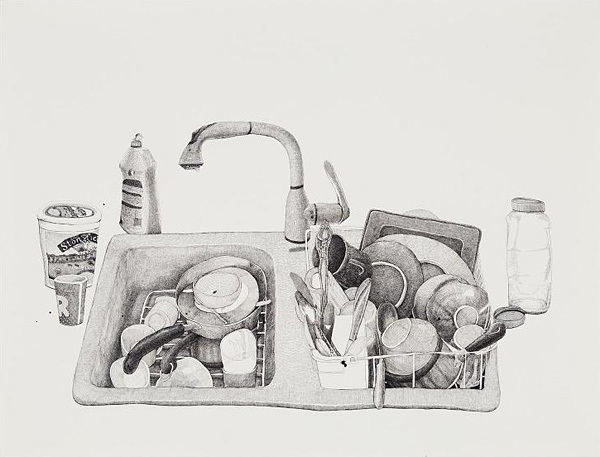 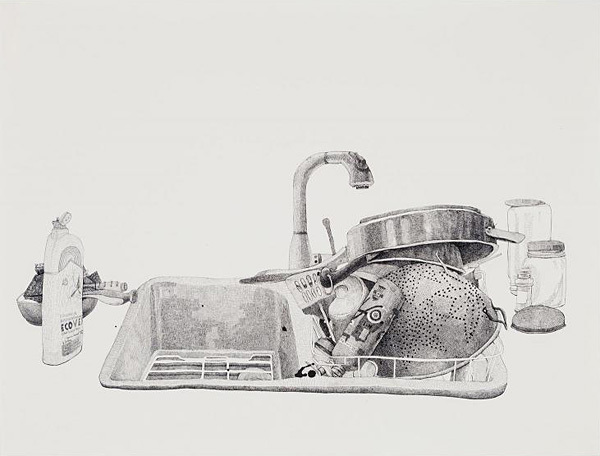 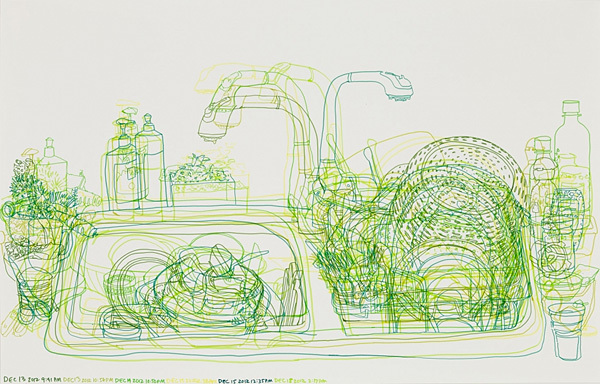 Large scale drawings of sinks using quill pens and ink. 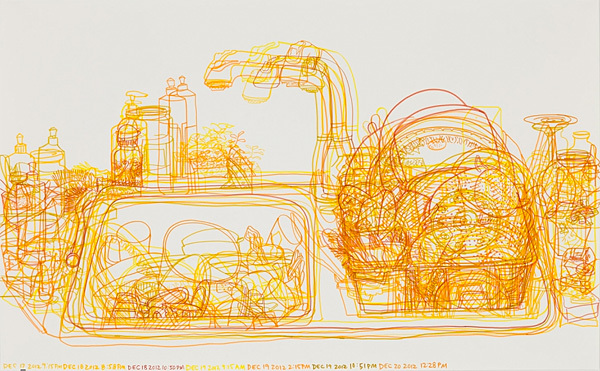 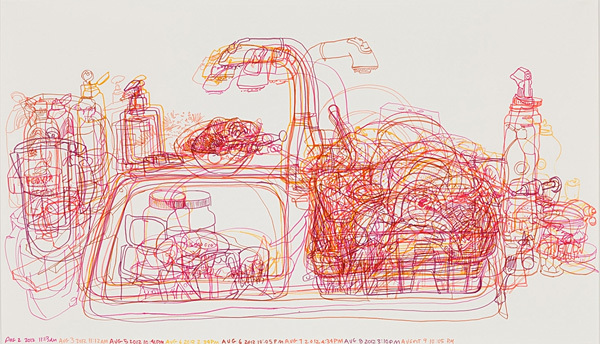 In a culture hyper-saturated by electronic imagery, I use traditional materials—quill pens and bottles of ink—to create large-scale images, exploring the sub-technological processes of observation and mark making. 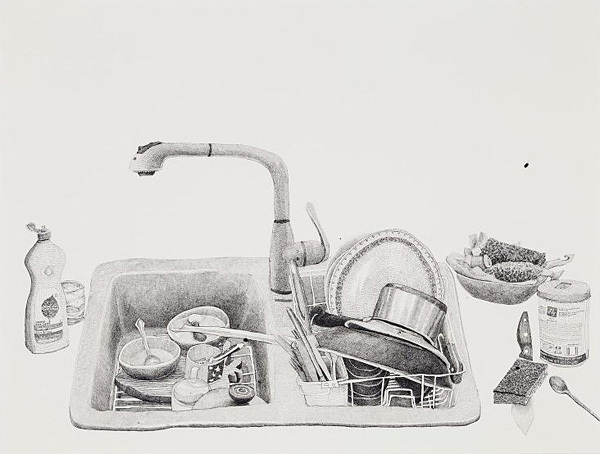 The drawings show life-size figures and objects, drawn with a deliberately free hand and energized, rigorous cross-hatching. 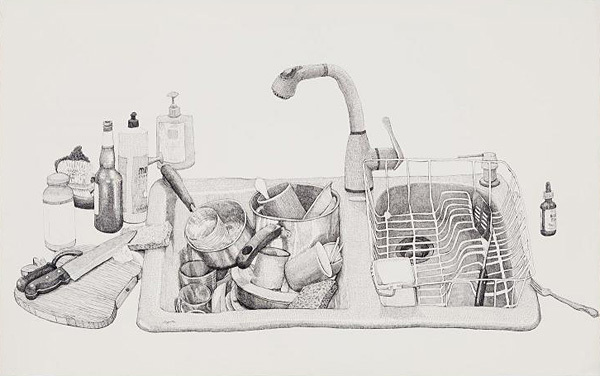 I generate awkward intimacy in the drawings through a process of “slow-looking.” Through my continual acts of observation, translated through the hand, I describe an intense response to my subject matter, which is as contemporary as my means are old-fashioned.